L0bit is absolutely stunned and over the moon by a throwback comeback brought by glorious lobit rocker OBS! 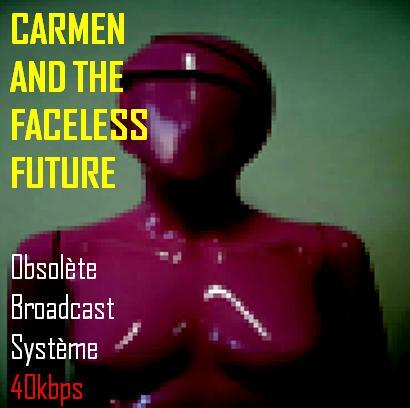 complimenting the story of Carmen and the faceless future! wild moppet haircuts and skintight flower power glitter spandex pants! all the way to malfunctioning in the cockpit and down in the inter-systems of mysterious data communications. and spastic fantastic hyper ventilation in a perfect science fictional theme of in your face electronica! but also listen and follow Carmen embracing the faceless future. incredible round synthesizers and good energy for every day activities! to our ears this faceless future that we are heading doesn’t seem to be losing its insanity! And piano skills do still exists! Admire this brand new soundtrack and feel the energy of this great new release by OBS!